Over the last few years, Dubai has managed to attract numerous foreign investors to its shores. The primary areas of interest have been the new-age technological sectors like Fintechs, Blockchain, Artificial Intelligence, and e-Commerce. In the first half of 2018, Dubai witnessed a 26% rise in Foreign Direct Investment (FDI) taking the total FDI investment in the emirate to $4.84 billion or around Dh 17.76 billion. Foreign Investors displayed a lot of confidence in Dubai’s economic policies and growth leading to a 40% rise in the number of FDI projects in the emirate. These figures are a clear indication of Dubai’s position as a preferred destination for global businesses along with startups looking for expansion and growth. This also reflects on the amount of trust bestowed by investors on Dubai’s economy. According to FDI Markets, a Financial Times venture, Dubai stood 3rd in the number of greenfield FDI projects around the world. A greenfield project is a type of FDI where a company builds its operations in a foreign country from scratch. These projects account for approximately 64 % of the total FDI projects in Dubai in the first half of 2018. Most of the foreign investments in Dubai are from countries like India, the USA, the UK, Thailand, and Spain. Nearly 56% of the investment received went into strategic projects. Also, 43% of projects used medium or high technology. The Dubai Government has taken several steps to attract foreign investors, reduce the cost of doing business, and relax some regulations. Some such announcements are the issuance of a 10-year visa and a 100% ownership in certain sectors. Technology is a field which is not country-dependent. Dubai, with its relaxed tax laws, is bound to be the home to some global IT and Technology companies even in the future. Dubai has spent a lot of effort into creating an economically diverse environment and had put the infrastructure in place to facilitate it. This is helping the new-age sectors to thrive. In the near future, Dubai plans to continue strengthening the economic stimulus, create a closer partnership within the business community, and introduce new laws to enhance its position as a preferred location for foreign investments and a hot-pot of innovation. Despite a decline in the global FDI flows last year, Dubai managed to witness an increase. 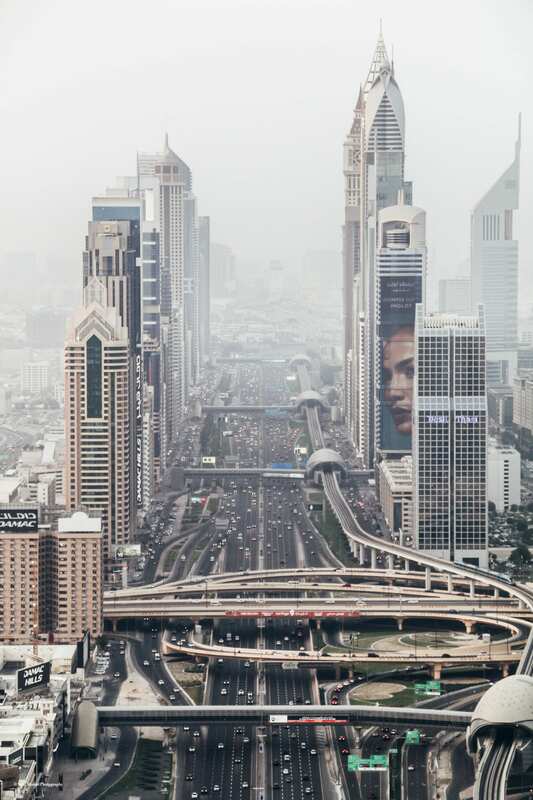 Due to its strategic location between the East and the West, and being the connection between MENA, Africa, Asia, and Europe, Dubai offers easy access to suppliers and distributors from all around the globe. Dubai is also known to be a safe place for businesses and attracts the best talent from around the globe. Further, Dubai offers an excellent quality of life and a highly diverse population. Therefore, businesses find it easier to hire and retain talent in the emirate. Over the years, all the Emirates have taken steps to create an environment favourable for foreign investments. Talking about Dubai, the rules pertaining to the acquisition of real estate property by foreigners are highly flexible. There is a new Companies Law passed by the Government of the UAE. Also, Vision 2021 – the strategic plan promoted by the Government would favour foreign investments. In free zones, foreign investors are allowed to hold 100% of a company’s shares. Additionally, the Dubai Free Zones Council, a body which represents the emirate’s 30-odd free zones including the Dubai Internet City, Dubai International Financial Center, etc. are taking measures to boost foreign investments in Dubai. They are easing the business registration fees and introducing new regulations in order to offer support to e-Commerce businesses. Further, the Council is also working on a mechanism to help free zone companies secure a no objection certificate from the government in a much quicker manner. Free Zones have been instrumental in attracting foreign investments to Dubai. Currently, the non-oil sector contributes around 70% to the UAE economy. The Council is making efforts to increase this contribution to 80% following Dubai’s sluggish growth due to low oil prices. Another sector which has seen a remarkable increase in foreign investments has been the Real Estate sector. Dubai ranks among the world’s top cities for foreign investments in real estate. This is an outcome of some critical changes making the regulations governing real estate transactions more transparent. In Dubai, people from over 200 nationalities are invested in real estate. That is a really diverse portfolio. Also, the Dubai Government has earmarked around 48% of its 2018 budget to develop infrastructure, transport, and public services. This will further boost the real estate sector and attract more foreign investors. In a nutshell, Dubai is set to becoming the magnet for foreign investors across multiple sectors. With the government working hard to make the emirate more attractive and beneficial for investors, the FDI figures can be expected to jump further up. Also, the Expo 2020 will certainly act as a catalyst in attracting more foreign investors to the emirate.